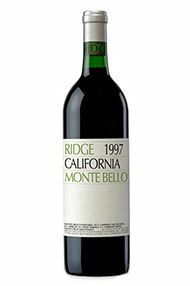 For California 1997 proved as a very good vintage for white wines and an exceptional one for red wines. Spring was early and warm and was followed by exceptionally hot weather in July and August - some sparkling wine grapes were picked in late July. However, a surprise mid-August rainstorm set off rot that attacked many vineyards and thin-skinned grapes such as Chardonnay, Sauvignon Blanc, Zinfandel and Pinot Noir were particularly hard-hit. However those growers not hampered by overcropping and poor trellis management found that their vineyards dried out and continued to ripen throughout September, with some growers waiting until October to harvest. Some exceptional Cabernet Sauvignon wines were produced this year and the best stand comparison with the excellent 1994s. The best were rich in flavour, deeply concentrated and impeccably balanced. Paul Draper has over 30 years experience in producing one of Californias true greats. This exceptional Bordeaux blend, produced high up on the Monte Bello ridge will drink now to 2025. Complex and sophisticated and vert well integrated fruit and oak. Surprisingly supple in texture and very elegant on the finish. Needs another 4-5 years of cellaring. 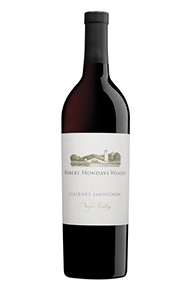 The profound 1997 Cabernet Sauvignon Reserve boasts a saturated ruby/purple color. Production (about 20,000 cases) of this sweet, opulently-textured, rich, full-bodied wine should guarantee widespread availability. 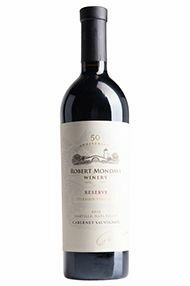 Aged in 100% new French oak, this blend of 91% Cabernet Sauvignon, 8% Cabernet Franc, and 1% Petit Verdot offers a textbook varietal nose of cedar wood, licorice, creme de cassis, and pain grille. Full-bodied, with explosive sweetness and fruit on the attack, this gloriously pure, superbly well-delineated wine should be drinkable young, and last for 3 decades. Anticipated maturity: 2002-2025.